For all you budding writers. Ha Ha! 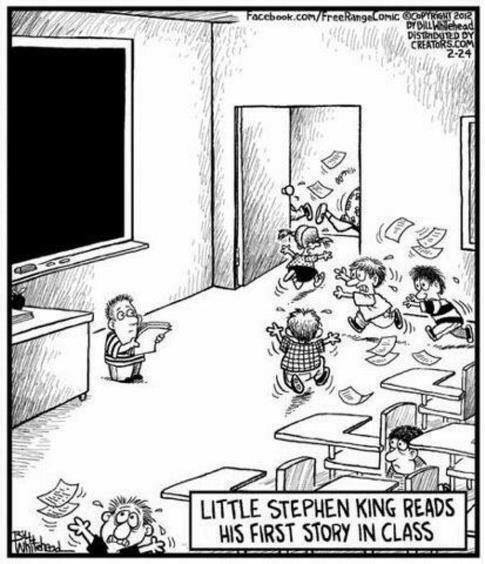 I love Stephen King, especially his early works. After I read “IT” I got really turned off to him. 800 pages and it’s about a killer spider from outer space! I so loved Cujoe, Christine, The Shining, so many others. Funny I was never interested in the new stuff.